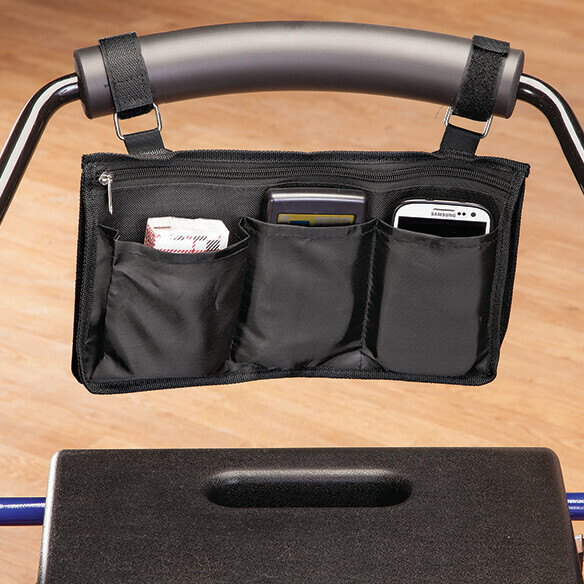 Handy Wheelchair and Walker Arm Pouch secures your essentials within easy reach. This will be handy for use on my walker. This is my second order. I have 2 walkers, different uses. 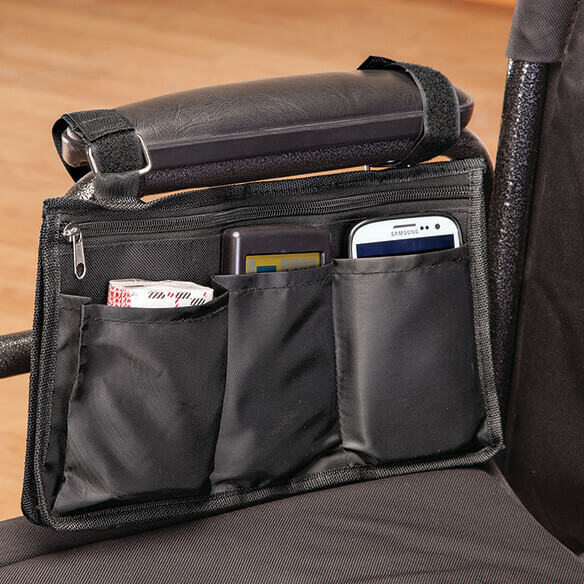 This has a large zippered pocket (ID and $$$) and places for paper/pen, phone and keys. I use one walker to shop in smaller stores. Convenient and easy to use. Well-made, too. Needed a place to put my phone when taking my dog out.